Cyprus Villages, Stuido, 1 and 2 bed apartments in Tochni. 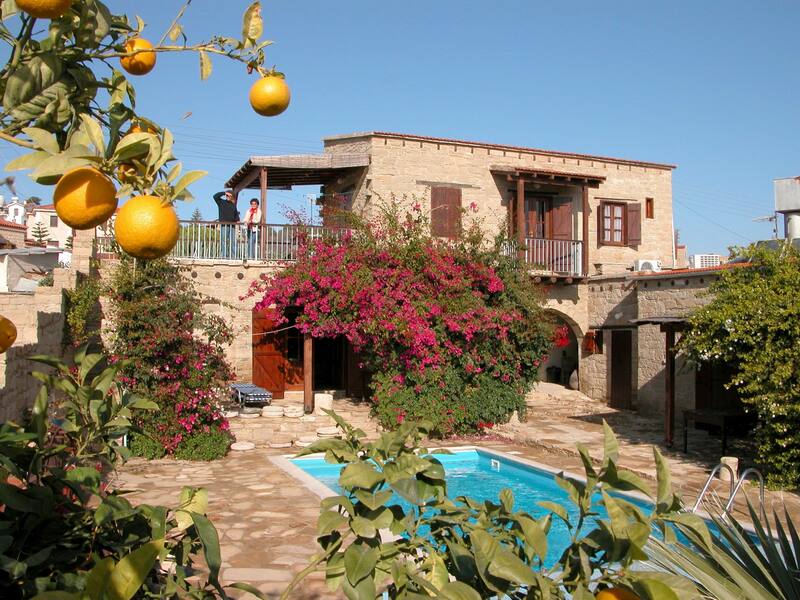 These apartments are situated in the pretty village of Tochni, halfway between Larnaca and Limassol. 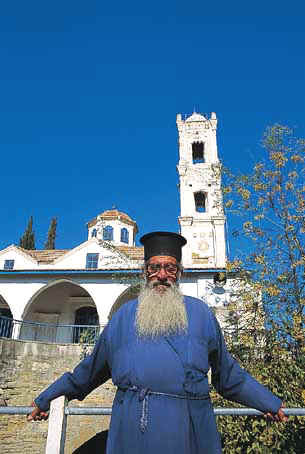 Set on the slopes of two hills, the stone-built houses line the narrow authentic streets that wind their way to the church of Saint Constantine and Elena. A local supermarket, coffee shops and a bank surround the village square. Enjoy the colourful tranquillity of the bougainvillea filled courtyards as well as perhaps participate in the more demanding activities available nearby, such as swimming at governors beach, horse riding, fishing, cycling and walking the nature trials. (see www.cyprus-adventure.com for some ideas) If you like you can take traditional cookery lessons and even watch halloumi (Cyprus cheese) being made, pick olives and citrus fruit and learn about our quickly disappearing local traditions. 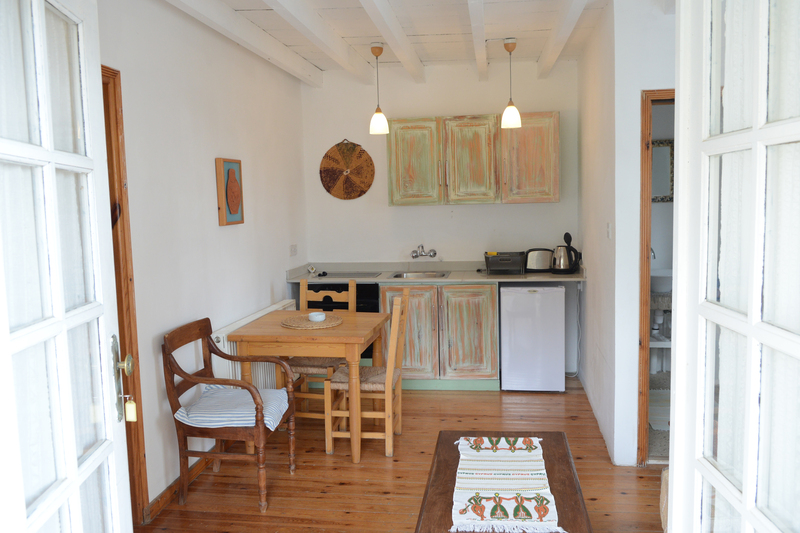 A myriad of traditional lodgings consisting of studio, one bedroom and two bedroom apartments each with its own individual characteristics, scattered in various spots on the small hill of Tochni, not far from the centre. 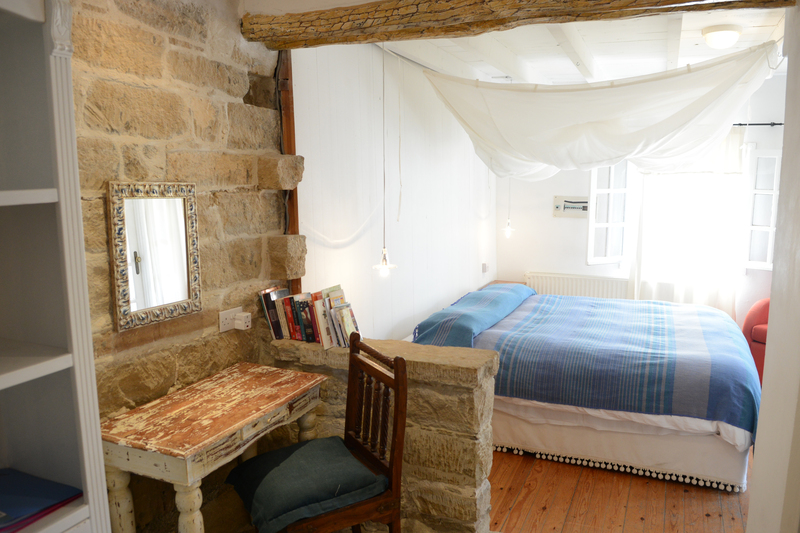 Each one is restored and furnished with comfort in mind, and decorated with charming Cypriot antiques and artefacts. All have either a balcony or a patio where you can relax under the shade of trees or bougainvillea. 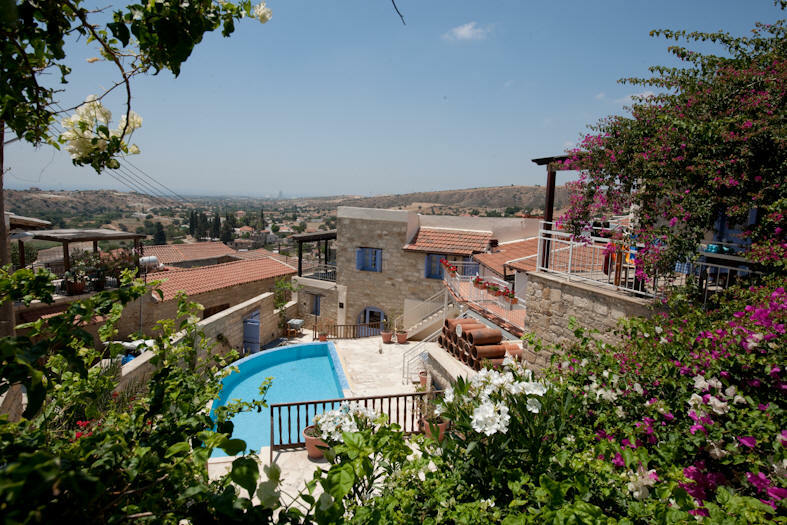 ADA : 6 meticulously	restored traditional stone built apartments are furnished with comfort in mind and has been decorated with traditional Cypriot items. Each apartment has a patio or balcony where you can relax in the sun and enjoy the view over the village. The swimming pool is just a few steps away. 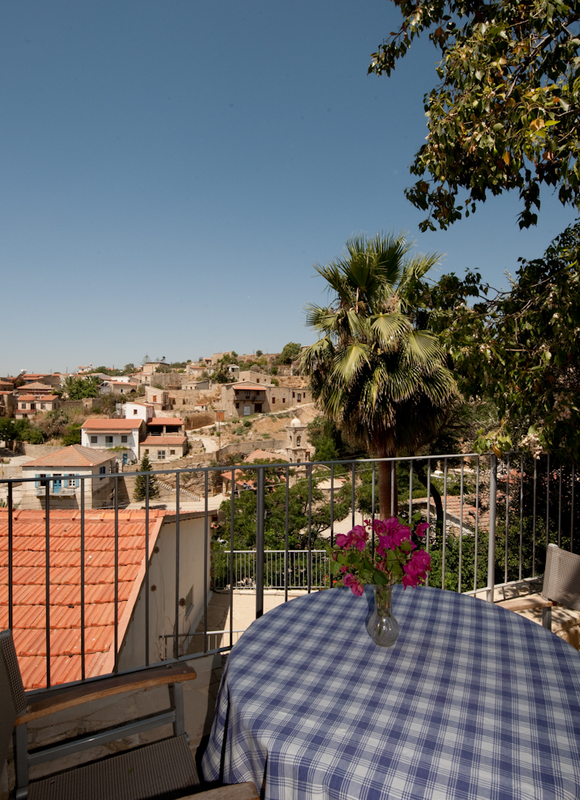 Enjoy your breakfast in the Tochni Taverna looking out over the village. DAN : These one bedroom villas share an exclusive infinity pool. Each villa has fully fitted kitchenette, living room, en-suite shower/wc and balcony or patio, remote controlled air conditioning in the bedroom and satellite TV. EVA : 4 newly built apartments in the traditional Cypriot style. A two bedroom apartment on the ground floor with a patio complete with dining table and chairs. Fruit tree garden leading to the swimming pool. This large two bedroom apartment is ideal for families with young children. 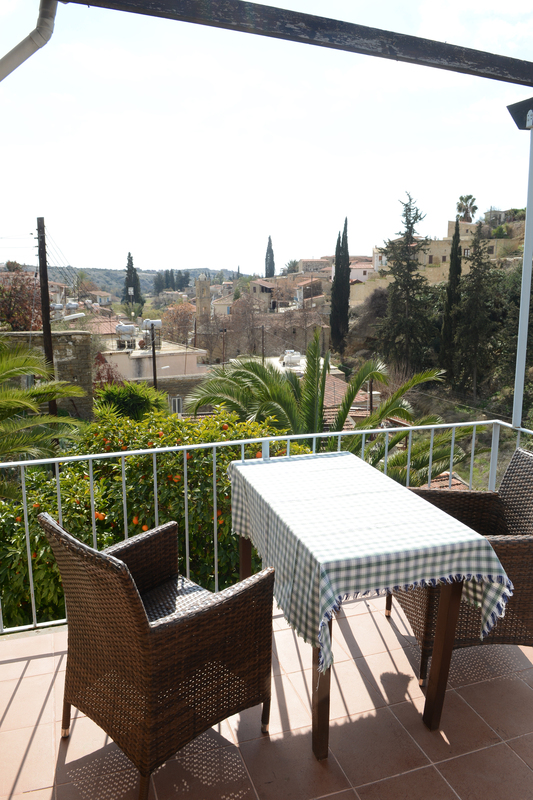 The one bedroom apartment on the first floor has a view of the rural Cyprus countryside and has a large covered balcony with dining table and chairs. This complex has private parking by the house. The two bedroom is ideal for persons with walking difficulties or families that require easy access accommodation. MES : Consists of a two bedroom apartment and five one bedroom apartments. Each apartment has its own balcony or patio. Set on the slopes of the village and accessed by a narrow footpath. All apartments have beautiful views over the village. You really feel a part of the village with its traditional way of life. There is free parking in the village road near by and the swimming pool and Tochni Tavern is reachable by footpath in just two minutes walk, so only suitable for those who walk. MYR : A house converted into four one bedroom apartments meticulously restored and furnished with comfort in mind. 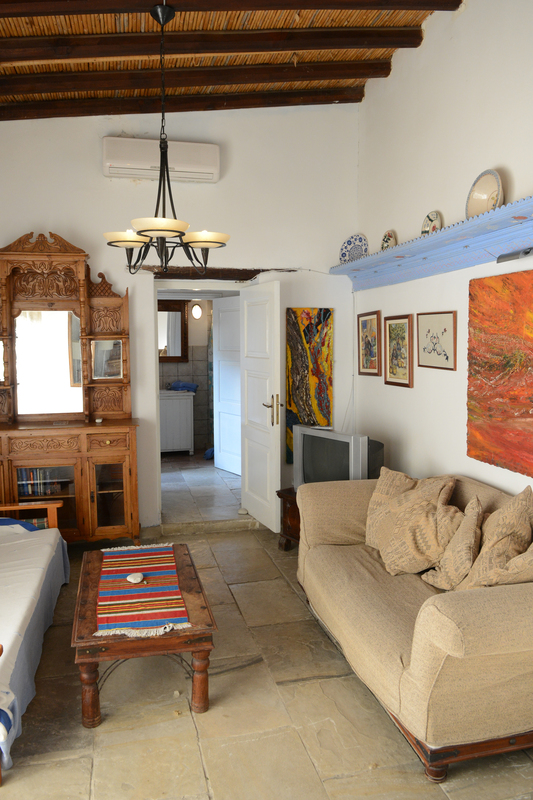 Each apartment has been decorated with traditional Cypriot items. All have either a balcony or a patio where you can relax in the sun, or around the exclusively shared swimming pool just outside your door. Myrto house is situated in a quiet area off the main village road and has easy access with free parking next to the house. The local supermarket, coffee shop, bank and Tochni Taverna can be reached by car in less than two minutes or 10 minutes by foot. VAS : On the slopes of Tochni in a very peaceful area of the village. it's reached by walking up a steep footpath - the payoff is the beautiful view of the traditional Cyprus Village. Free parking is available in the nearby village road. Each apartment has it's own balcony or patio with dining table and chairs. The shared pool and Tochni Taverna is just a 2-3 minute walk away. ZOE Village apartments situated on the slopes of Tochni village and reached by footpath, each individual one bedroom traditional apartment has its own patio with dining table and chairs. Free parking is available on the road nearby . The shared pool is just a few minutes walk away near the Tochni Taverna. Bath or shower, fully equipped kitchenette, central heating and air-conditioning. Too far to the Beach. Drive instead. Please note: bookings for these apartments bed and breakfast is mandatory. BREAKFAST EUR 7 per person per day and EUR 4 for children. HALF BOARD EUR 20 per person per day and EUR 10 for children. * Extra Persons and Children under 12 years old sleep on Bed-Sofa or Child´s Bed. Cyprus villages is a pet friendly destination. A/C is paid locally per bedroom per day for some village apartments but is included in the prices for the some villa apartments, Please ask. 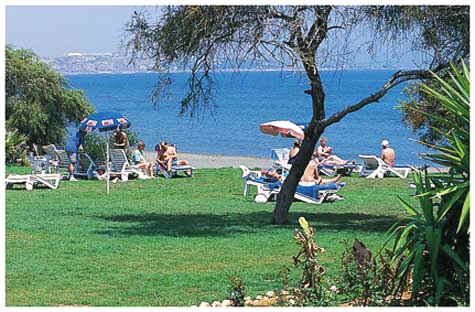 See here for transfers all over Cyprus.